Sketch Nation: Sketch Nation Shooter is One of Touch Arcade's pick for Best iPhone Games of 2010!!!! Sketch Nation Shooter is One of Touch Arcade's pick for Best iPhone Games of 2010!!!! 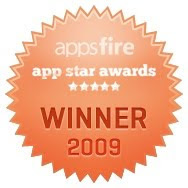 We are so excited to tell you that Sketch Nation Shooter was picked by Touch Arcade as one of the best games of 2010! You can check out the post here and see all the other games that were chosen. "Sketch Nation Shooter is one of the most creative uses of the iPhone camera we've seen yet. You sketch a doodle on a piece of paper, take a photo of it, and then import it in to little mini games you create. Gameplay is a little limited, but does it really matter if you turn a drawing of your cat in to an end boss?" We want to thank the Touch Arcade team for choosing us, we are honored, and to all the creative fans out there, thank you for playing and never stop drawing!